The Kitchen Garden Network provides information on the world of food matters. Through our blogs, photos, podcasts, videos, interviews and demonstrations we empower consumers and diners with what they need to know about food, cooking and the intersection of agriculture with politics. You are currently browsing the The Kitchen Garden Network weblog archives. Just in time for the holidays, I am happy to announce Gift Certificates! Now you or your loved ones can buy a friend, family member or yourself the extra-special treat of learning at one of our workshops or courses at Claddagh Farms. Simply click the button below, specify the amount and let PayPal do the rest. When we get notification of a purchase we will create a voucher for the amount of your gift and email you a copy to print out to present. The recipient can then apply that voucher towards the cost of one of our courses at a time which works for them. More than one gift certificate can be redeemed for each course. I love raising pigs. There is something about their nature & their character which capitvates me. I also love cooking & eating them. The effort I put into raising my pigs is show in the pork they produce. By raising them on pasture, feeding them on barley, curds, whey and sour milk & finishing them on apples, their flesh and fat are delicious. By grazing the pigs rotationally they also help me improve the soils on my farm and become part of a more sustainable, diverse whole. 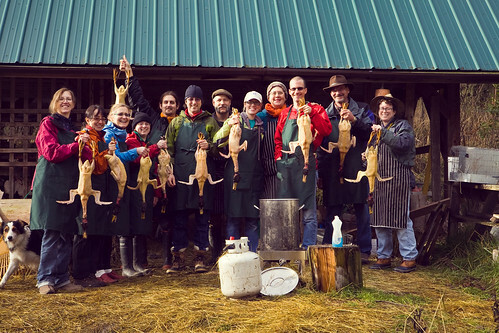 This is also why I love to host my Porkshop–a two day workshop dedicated to teaching others about raising pigs my way and giving them the best possible end to fulfill their life’s goal. While Smithfield may process 30,000 hogs in a day, I prefer to dedicate two days to celebrate each of my pig’s lives. This may seem crazy, it may seem simple minded, but all the same it is rural, traditional, slow and careful. I prefer to do things properly, trying desperately to not waste a thing from these creatures I have nurtured for almost a year; putting extra energy into so they taste the best they can. Can Smithfield say that? Is pig slaughter for everyone? Do you really need to witness and particupate in an animal’s death to know what it is like and to eat the end product? Truthfully? Probably not. Millions of people consume meat without a second thought, happily munching away barely noticing whether they’re eating pork, chicken, beef, or dog…. But what if you really wanted a closer conneciton to your food? What if you wanted to experience something different than palid commodity offerings? What if you were thinking you wanted to have a go at raising some of your own food? Then a hands-on workshop like the Porkshop is a must. Beyond coming to grips with the reality of what it takes to get meat on the plate humanely, the Porkshop is also about cooking with every part of the pig, so little is wasted. Additionally, as we learn the value of what it takes to raise quality, healthy, nutrient dense, flavorful meat we also learn the value of actually eating less meat. Savoring it more and valuing both the animal and the farmer who raised it. So what does a Porkshop entail? Day One we–to put it simply–kill a pig. Not a cold hearted, angry act, but a humane death calmly executed in mild, pleasant surroundings. Truthfully, the pig never knows what happened. There is little noise, little for the pig to fear from unfamiliar surroundings. 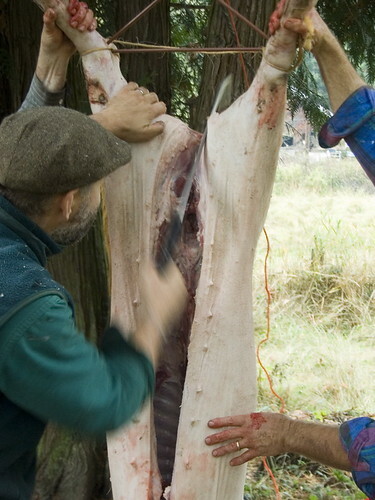 Once the pig has dropped we hang and stick it so we can capture the blood for making Boudin Noir–blood sausage. 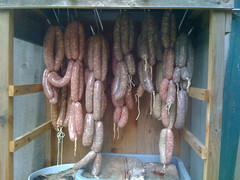 After scalding and scraping and evicerating the animal we hang it overnight while we prepare the Boudin, Head Cheese, Pates and Offally good tidbits. It is a long day, not without its stresses. But it is all worthwhile. In between slaughter and processing we usually stop and have a thoughtful lunch. Day Two we cut apart the carcass which has hung and chilled overnight. 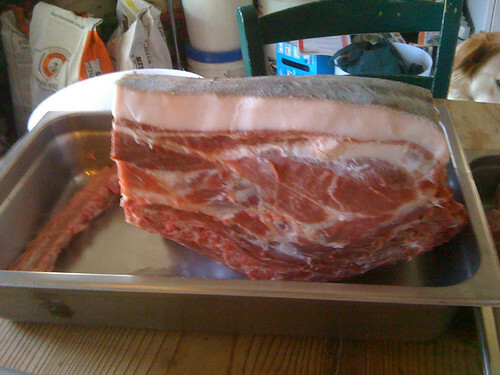 In doing so we will be preparing dry-cure bacon, country-style ham and setting aside meat for sausages. If time allows we will even grind and make some different sorts of charcuterie. Along the way there will be plenty of time for questions, discussion and we will finish with a hearty meal. This year’s Porkshop will be held in two events. The first will take place the weekend of November 27th & 28th so we can have some pork & fresh lard ready for creaing goodies for Duckfest. I will also host a second session of Porkshop on the weekend of December 11th & 12th. 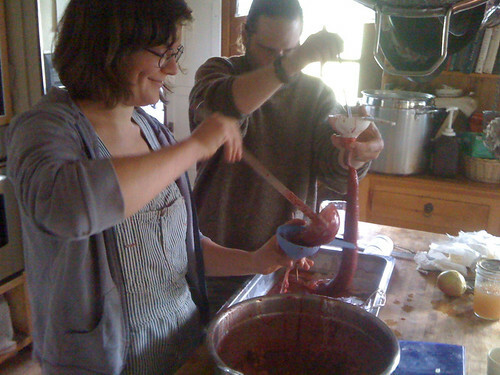 The cost is $125 for each two day session–which are two separate workshops (1 slaughter & 1 processing) & cooking lessons and includes two meals and refreshments. Book now so you don’t miss out on this great event!! I am pleased to announce a winter workshop, food sourcing master class this December 6th through 10th! Hot on the heals of this Winter’s Duckfest 2010, I am opening my farm up to 6 lucky people who want to learn all things food. This is a great chance to learn—hands-on—how to prepare a wide range of meats, game and farm-fresh ingredients, just in time for the holidays! While we won’t be focusing on holiday foods per-se, we will be cooking from fresh, local, seasonal ingredients, learning fundamental techniques and developing life-long skills. Taking our cues from the rhythm of winter farm life and the pace of twice-daily milking, farm chores & on-going dairy processing we will explore transforming raw ingredients into tasty delights. Starting Monday the 6th of December—After a light breakfast, we will slaughter on of the pigs on the farm. Using humane, stress-free (for the pigs at least) on-farm slaughter methods and traditional ways of processing the carcass we will slaughter, scald, scrape and split the carcass. Once the meat is ensconced in the refrigerator, we will make Boudin Noir from the saved pig’s blood, and begin a pate, head cheese and some rustic charcuterie using offal. Tuesday, December 7th—While we let the pig’s carcass chill we will make a plan for the sorts of charcuterie we will make later in the week. We will also finish any of the dishes from the day before. We can explore more baking to replenish our bread board, work on cheeses and, if fortunes smiles on us, work with some game. Weather permitting we may do a bit of foraging. If students desire, we can work with rabbit, getting some ready to cook with and to turn into charcuterie. Wednesday, December 8th—Carcass breakdown. We will be breaking down the pig carcass into cuts while setting aside those parts we want to cure and plenty of meat for sausages. We will also discuss & cure bacon, loin & hams. Time permitting we will start the advanced preparation of some bases for pates, terrines, sausages and charcuterie. Thursday, December 9th—We will continue to make pates, terrines, sausages and charcuterie. Futher exploring baking & cheesemaking as well. Friday, December 10th—Hopefully we will get a chance to work with the best of local winter seafoods. 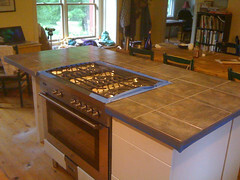 While continuing to wrap up those projects we began earlier in the week. We will end our course of study together with a big celebration dinner of things we created along the way. This is a tentative sketch, very open to adaptation, of what the week will hold in store. It is planned that Kate Hill will stay on for a few days after Duckfest to share her Gascon take on the dishes we prepare. There are so many other things we do here daily on the farm—butter making, pizzas, breads, cheeses—that this will be a rich & diverese week for anyone daring enough to step into our world. Cost: $1500—including the 3 day Duckfest. $1250 for the 5 day course without the Duckfest–includes all materials, breakfast, lunch & dinner. Space is limited, book soon. We require a non-refundable deposit of 50% on booking, with the remaining payment due November 26th. Contact us to arrange accomodation separately. For more information please contact me via email (podchef at gmail dot com) or via Twitter–@podchef From there we can make further arrangements & discuss details. Join me with “The Queen of Gascony”, Kate Hill, in Mid-Coast Maine as Kate brings her Camp Confit to America for the second time in 2010! 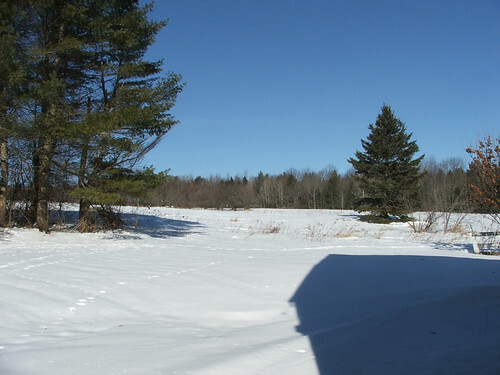 Just in time for the winter holidays, we’re going to start the season off with a three-day weekend of good food and fat ducks at my new Maine farm. Three days/two nights of good food, conviviality, duck butchery and confit-making. Come and learn the little secrets of French farm-wives and time-honored traditional recipes for preparing and preserving confit de canard, terrine de foie naturale and le Grand Cassoulet. Arrive on at the farm, mid-day, and join Kate and I at my Kitchen Garden Headquarters on Claddagh Farm for a traditional French, super-authentique, Camp Cassoulet class & feast. We will be pairing red wine and armagnac with the cassoulet. Enjoy this early winter dinner, full of locally sourced & foraged ingredients—many from the farm itself. Breakfast: We will set ourselves up for the day with a light breakfast of coffee, tea & home baked pastries–My wife Kathy’s baked goods are not to be missed! Morning: Duck Butchery- I will lead a how-to workshop on Duck Butchery. A primer for the professional or home chef, come to the farm to learn humane slaughter methods, plucking, eviscerating & processing. This course is for beginners, chefs & cooks who want to know where and how their food gets from the farm to the table. Lunch: Kate and I will prepare a winter pique-nique of found and foraged foods to share the diversity of my mid-coast farm and Kitchen Garden Headquarters. Afternoon: Traditional French Confit Making Part 1- The importance of proximity becomes apparent as we work with the fresh carcasses, removing the natural fat livers, learning the meat cuts, then trimming and rendering the fat while learning the nuances of salting and seasoning. Fatted Ducks are larger and meatier than roasting ducks. Preserving meat by poaching in fat (confit) is the perfect way to showcase that flavor as well as store at room temperature. Dinner: We will learn from Kate how the French dine as we pull together to improvise a dinner from the farm, the day’s activities, and the mood. Breakfast:Start the day off right with coffee, tea, conversation, and more fabulous farm made delights. Morning: Cooking and preserving Confit Part 2- We begin the confit process, cooking the duck to perfection in a slow and patient process. 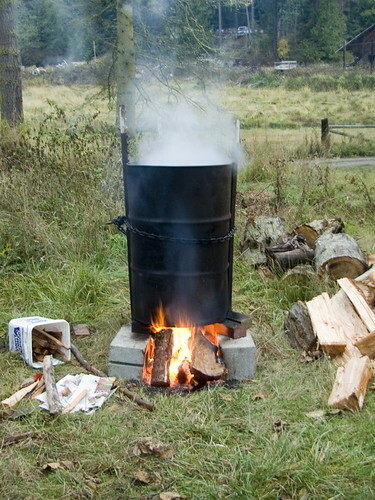 No rushing allowed: stir, stir, rest. When cooked, we will preserve the tender meat for pantry storage with its translucent golden fat in glass jars. Lunch: A farm Feast of field & shore, severed with homemade breads and inspired by our time spent together. Afternoon: Final wrap up of thoughts while our new friends—you—prepare to depart with a basket of Ducky Delights in hand. Here’s a great writeup about a mini-Duckfest I did in February with the Staff of the Herbfarm Restaurant. Last summer I had a great opportunity to attend a class with Dr. Paul Detloff–Organic Valley’s cheif DVM. He gave an interesting lecture and a practical demonstration. This video is from the barn demo. He talks about cow health, proper mineralization, hair coat, A2 milk & high brix feeds. We’re finally getting settled in here, on Claddagh Farms and summer is in full swing. There has been a lot more work to get up and running than I imagined, and every day seems to throw new challenges at us. But, life is good. 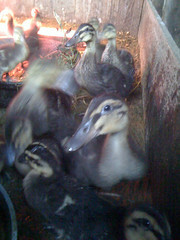 The ducks, pigs and rabbits are all thriving and we should have some products to sell by the Autumn. Milly & Hazel, the dairy cows, are helping to get the untamed pastures back in order, as are the chickens. We are getting to grips on growing in a new climate with new season varabilities. The old farm house is slowly feeling more like home, and with the addition of a new kitchen island, is seeming like we might have a fantastic space to hold workshops and cooking courses. You will have to excuse the lack of posts, podcasts and other activity while we continue getting established. Trying to get hay for the winter, find equipment we can afford and the usual daily farm tasks often seem overwhelming as we try to do everything else and meet our new community. We’ve also been making cheese, butter and cream almost every day–mostly for our own consumption, but also for the stream of visitors who are finding their way to our door. If you’re in the area, drop in and see what’s going on. Day 1: Leaving Shaw… A complete and total thrash trying to get final packing done & leave in time to catch the ferry… Fortunately we made it with minutes to spare AND there was actually room on the vessel! Once on board, we could relax for an hour before departing on the mainland for the first leg of our journey–Island to Sky…. 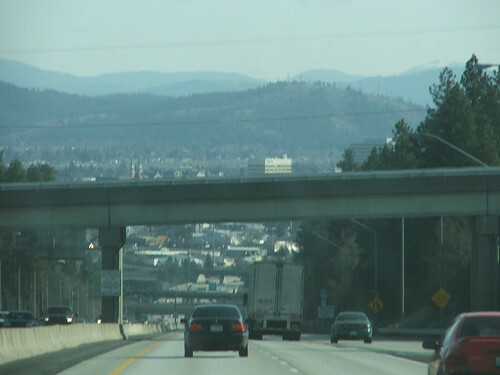 Crossing the Cascade Range into Ellensburg where we have camped out for the night at a friend’s house. Well fed and rested, we will hopefully depart early in the AM for the most ambitious leg–Ellensburg to Sheridan Wyoming: Over 900 miles taking us over the Rockies and to the foot of the Great Plains. We’ll see how that goes tomorrow. Day 2: Ellensburg, WA to Billings, MT….As you can tell from the bold print…we didn’t make Sheridan. 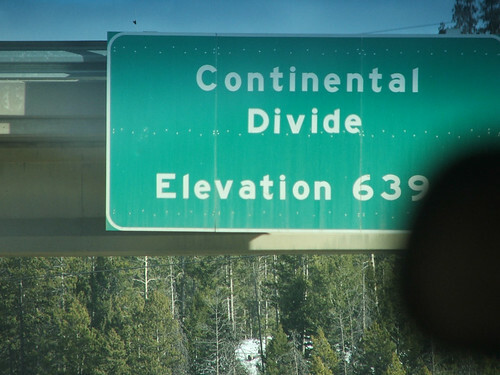 There was no possible way, especially with the diesel truck only getting 4 miles to the gallon in the mountains, with a top speed of 30 MPH crawling over the passes. There were some white knuckle moments both going up and coming down…but nothing worth mentioning here…. We covered some 710 miles. By the time we got to Billings we needed fuel and rest badly. We found the fuel…. We managed to find a hotel which accepted pets. We didn’t bother tell them about all 5 of the girls. 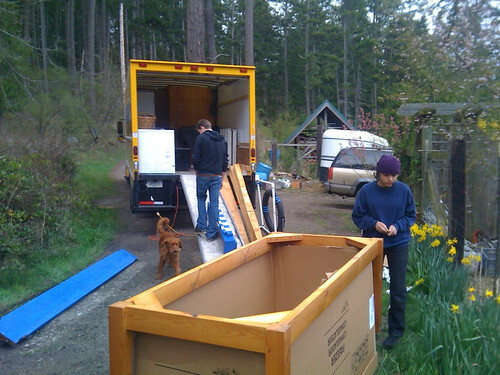 While everyone arranged themselves I helped take care of the livestock in the trailer–a nice “quick” 45 minute chore. I also, on the sly, plugged the freezer into the hotel room–my plan to use an inverter was quashed by a faulty extension cable running back the the truck from the cab. Fortunately, I packed spare cords. Then I proceeded to unpack a few items & cook some fried eggs outside the hot el room door. We made some quick sandwiches, ate dinner & went to bed. 7 of us packed into one room was cozy, but the beds were among the worst I’ve encountered. We didn’t last long..about 3:30AM we woke up and decided we couldn’t take any more. We hastily packed. I made espresso in the Mocha pot and we hit the road. We finally stopped just after Sheridan, WY–where we had wanted to end up the night before…We had a snack breakfast & continued on. Day 3: Billings, MT to Brandon, SD…. Today was another grueling day. Having started early (see above) we made good time through the rest of Montana and into Wyoming. The weather has been phenomenal the whole trip, and today was no exception. We got to watch the sun rise over the Big Horn Mountains…and reflected on Sitting Bull & Custer’s little tete a tete for a few hours. We pushed on to Gillette, WY for fuel & a quick breakfast to eat on the road. 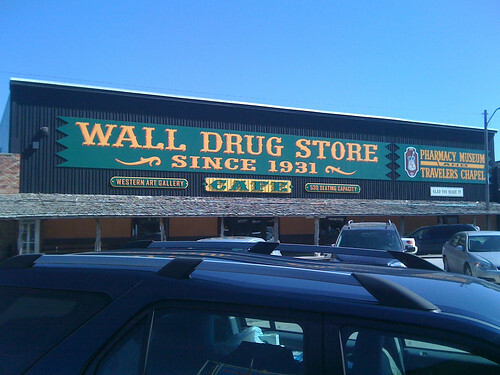 Our next stop was Wall Drug where we fueled body, soul & vehicles. After a few buffalo burgers we hit the road again forged on ahead to the South Dakota border, past Sioux Falls–Sorry, Uncle Jim, et all…we didn’t have time or energy to stop–to Brandon, SD. Another 719 miles done. At this point we are almost half-way through our journey. Reflections from today….None of us care much for the Mountains of Montana. We all fell in love with the landscape of Wyoming–the colors, the geography & natural wonders. I love the history of the place. South Dakota has mixed reviews. Most of us didn’t care for the monotony. I’ve been here several times since I was a boy and have always been fascinated with the Native American culture & rocks everywhere we stopped. Tomorrow….well we’re going to try to ease up on the pace a bit. These long days are rough. We want to get past Chicago somehow–avoiding rush-hour preferably–so we shall see how far we get. We only had 162 miles to drive in Minnesota before we headed South into Iowa on I-32. The idea of cutting through the monotonous corn-fields, dressed in their barren winter skins, was to be able to skip driving I-90 through the heart of Chicago at rush-hour. Iowa was SO BORING! Perhaps it was the time of year, or our state of consciousness…but I found it hard to get through. At the very end of our trip, as we passed through Iowa City we noticed a giant military Helicopter hovering…little did we know, at the time, that President Obama was speaking in town. We finally hooked up with I-80 l eaving Iowa, entering Illinois over the Mississippi River. The road was horrible. Lot of construction was going on, and traffic was building. We had skipped by Chicago, but there was still more traffic than I was expecting. We barely made it into Indiana… coming from a tiny island in a quiet corner of Washington does not prepare one for busy city traffic & crazy truckers zinging all over the place. We’re simple country folk…we got lucky to dodge off the highway & find a comfortable place to spend the night. We had covered 620 miles, for a total of 2182 miles covered in 4 days! More than 2/3rds there! The idea is to leave early in the morning, again, and miss the traffic. We should be well on the way before it begins. Our hope is to get out of Indiana, through Ohio and to the border of Pennsylvania & New York. This should set us up with an easy day’s drive to my hometown on Saturday where we will spend the night and then a short drive to Home in Maine on Sunday! Day 5: Portage, IN to Scranton, PA:….. Not much nice to say here…..The roads were horrid. The state police were out in force through Indiana which meant lots of people were getting pulled over, slowing down traffic. Ohio was the high point of the drive–even if it did cost us a fair amount in tolls to cross the state. By the time we got to Pennsylvania we were already sick of driving. PA was a slow state to cross for some reason. The roads were beat up, the traffic was heavy and the closer we got to where we were hoping to stop for the night the later it got. For some bizarre reason we thought we wanted to stop in Scranton. 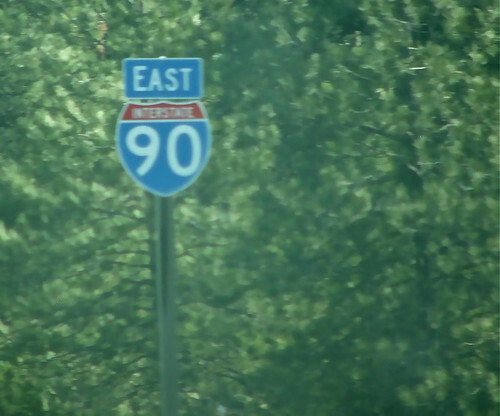 It seemed like it was a good point to begin the following day’s trip from–I-80 changed in to where we needed to catch I-84 through New York into Connecticut just beyond. However, the more we drove the further away our destination seemed to get. Then, just outside of Scranton we hit a massive traffic snarl. Before we got there I hit a massively deep pot-hole going over a bridge. It sent the whole truck shuddering. I spent the whole time going down the next steep hill terrified that the tire would fly apart and I’d be stuck there after dark. Because we were so late in getting to where we wanted to be, we now got caught in road construction which was on it’s first night and had just begun. We spent almost an hour to get 15 miles. Then the nightmare really began. As we broke free from the traffic we finally reached Scranton proper. We followed Google Maps into where our Comfort Inn was supposed to be. Only it wasn’t there. We drove around and around–a giant truck and a Suburban with a horse trailer–tiny lanes in an industrial park and still couldn’t find our motel. Finally we spotted a way into a Hampton Inn and a Comfort Suites. We managed to park the vehicles–which barely fit into the tiny driveway. The Comfort Suites has just sold their last rooms. We went next door. The Hampton’s rooms were really expensive and they didn’t take dogs….back into the wagons to search for somewhere new. While I was wandering around trying to get a room, the rest of the crew had used an iPhone to call a Budget Inn across the freeway. So we headed there. Or so we thought. We got to where we thought the Budget Inn should be and found it not to be there. We drove in circles some more and bumped into a nightwatchman down one of the diveways we blundered. He pointed us in the right direction and we booked in to a total dive. Fortunately there was a microwave in the room so we could reheat leftover Chinese food from the night before. We were too exhausted to think. We fell into a deep sleep only to be woken by the dogs growling and barking at 2AM. The constant traffic outside our room, the dubious nature of the conversations had set our beloved guardians off. We calmed them down, but spent a fitful few more hours waiting for them to sound off again. At 5:30AM the again broke out. That was too much. I got dressed and took them outside for a long walk and into the vehicles. It was one of the colder mornings we encountered, so I did my pre-travel checks of oil, tires, coolant and trailer connections and loaded the dogs inside. By then Kathy and the kids were ready to go. We climbed in and headed off. Day 6: Scranton, PA to Glastonbury, CT:….. Worst day of travel on the shortest leg of the trip so far. We decided to leave Scranton behind and drive up the pike for a few hours before stopping for breakfast. On the way in to the dive motel we stayed at we had seen a fuel stop. We headed there before 6AM to tank up for the trip to my dad’s. As soon as we pulled into the tiny driveway I realised they didn’t sell diesel. Not only that, but they seemed to be closed or non-functional. I pulled out onto the road, but had to loop around the way we came so I could turn the truck around to point the right direction. Kathy meanwhile got confused and started out the wrong way up a one way road. When she saw her mistake, she opted to drive over the median separating the 6 lanes of traffic. I was sitting at traffic light when I saw this and didn’t think she was going to make it. My light turned green and I pulled in just behind her–more than a little shaken up. We drove quickly back onto I-80 and up several miles to a proper truck stop where we tanked up. While I filled my tank I added oil to the Suburban and checked for damage from the median. No worries. When I got back to my truck I saw that it only allowed me to put in $75 instead of the $100 which had been the normal in the Midwest. I was almost full, but I started to head into have the attendant run my card again…when I got inside I decided to get a mega-coffee and just get my reciept instead. Connecticut wasn’t too far away and I had more then enough fuel to make it there without bothering to top off completely. I climbed in the truck and away we went. An hour or so later we stopped off just before the New York State border for breakfast. When I stepped out of the truck I could smell diesel. I went over to the tank and saw that I had left the cap off. Fortunately it was there, swinging on a chain. There was a bit of fuel splashed out over the ground and a nice trail leading right to the truck. For the last hour I had been sloshing fuel out of the tank! I think I must have lost around 5 gallons through my sleepy mistake. We stopped for a while over breakfast. Refreshed after a sit-down meal–one of our first on the whole trip–and lots of strong coffee we set the caravan back in motion. All went fine through the rest of Pennsylvania and into New York, except I was getting really sick of steep hills by now. They take so long to climb in the truck and really eat through fuel. Trouble today really didn’t start until we hit Connecticut. Traffic had been building gradually as we went along. 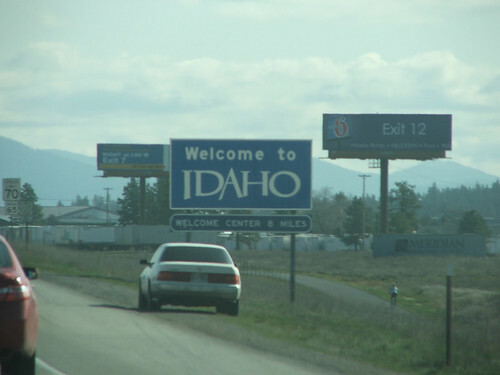 By the time we crossed the state line it was really thick, but the speed had picked up and hte insanity began. People weaving and lane changing rapidly, lots of angry driving. Insanity. Within 20 minutes I had to pull off to go through a weigh station. I probably could have gotten away with skipping it, but it didn’t indicate which class of trucks were required to go through. So I slowed down and waited in a massive que of trucks. This was one of the worst designed weigh stations I have ever been in. It pulls you way off the highway and loops you around and around before spitting you back out. Even if it was empty it would take 20 minutes to go through. I sat there for 45 minutes before getting back on the road. By the time I was travelling again I realized there was little hope of catching up to Kathy to get ahead of her and show here an alternate, less trafficed route. I drove through the insanity until we reached Hartford where I actually did catch up with her. Kathy had been driving the speed limit while everyone else–me included–went 20 miles an hour faster. I finally got in front of her and we drove the last few miles to Dad’s without event. We pulled onto his road without event, although much later than I expected. Much relieved we were able to plug the freezer in the back of the truck in while we ate lunch and helped Dad sort through the furniture he was going to give us. My brother and sister-in-law came over for dinner and we had a restful night at last. The dogs were very happy to see their grampa too. I am sure you’ve all been wondering what’s been going on with me lately? Or, perhaps not…. As many of you know we’ve been in the process of buying a new farm. 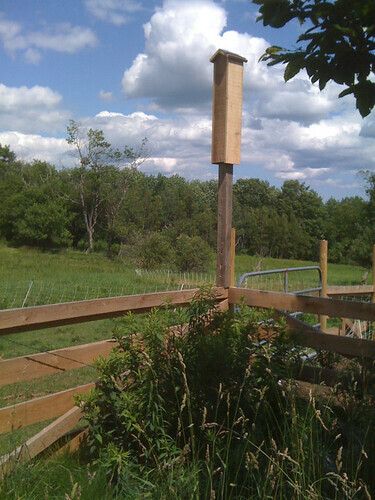 Our property here on Shaw Island–aka, Podchef Island–sold back in January and we have been camping out here since then, caretaking it for the new owners while we clean up over a century of farm & sawmill debris. 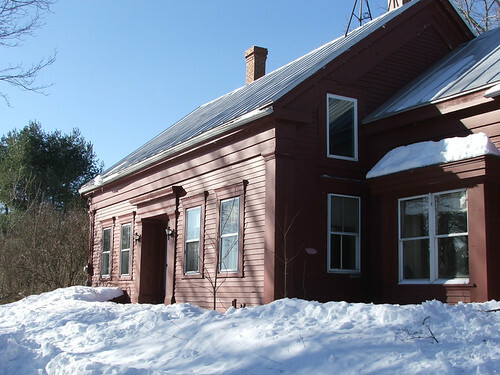 Since we’ve known about the sale of our old farm for so long, and since we’ve been planning on having to move someday soon anyway, we’d been looking for a new place to move for some time. That search had me on a plane just days after closing, flying to Maine to search for our new, dream farm. I was in the state, driving all over on snowy roads, looking at all manners of farm and farm-like properties for over a week. In seven days I saw almost 35 farms, each unique and enticing. Everynight I would post the photos of the day and via telephone Kathy & I would discuss the merits of the places and rank them in order of best to worst. By the end of my trip we had a top 10 and further ranked it into a top five. Our number one pick was a stretch–nice location by the water, cheap taxes, good access to markets, but very spendy and in a close-minded community. We dodged a bullet by not being able to afford it. So, for the last 45 days we have been working on purchasing farm #2–our second choice. 24 acres in a nice location, with a historic 1840’s vintage farmhouse, this was actually the 3rd farm I saw on my trip. I fell in love with it from the get go. It may still hold many surprises–I never did get to walk around the house, barn or property. It was 8 degrees outside and the snow was over 2 feet deep. But the house & barn checked out to be sound and the property used to graze sheep. On a leap of faith we’ve bought it. What does all of this mean? We are leaving the Pacific Northwest for the challenge of colder climes. We are leaving 7 acres of hard-scrabble farm on a remote island for 24 acres of nice pasture, with a pond, in an area which supports farmers and has a burgeoning local food movement. It also means we can keep more livestock. I have been wanting to expand my duck and pig ventures but have lacked the room here. Now, not only will I have more land to keep cattle, sheep, pigs and poultry but it is also land teaming with game and bio-diversity. And, it will be our land without family control. We border a state park and woodland surrounds us. It seems like an ideal spot for a venture like ours. We will also, for the first time in my 20yr stint as a farmer so far, have a barn. 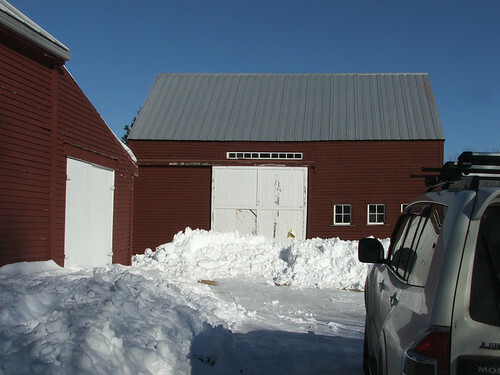 A proper barn–not random sheds, temporary outbuidlings or a mish-mash of tarp covered piles. It’s not the barn I would have built, and it’s not 1/2 the barn on many of the properties I saw, but it is very adequate to our needs. I can’t be happier about it. It too appears to date back as far as the house. I can’t wait to speak with a few of the former owners of the property–it was once collateral in a poker game–to find out the farming history of the place. Finally, there is the Kitchen. It’s painted in a radical color red. It’s funky and open & much larger than my current Kitchen Studio. I am hoping there will be many more podcasts, videos and meals cooked here. It also has exactly the homey, welcoming feeling I wanted for future Porkshops, Duckfests and other courses I want to hold on the farm. 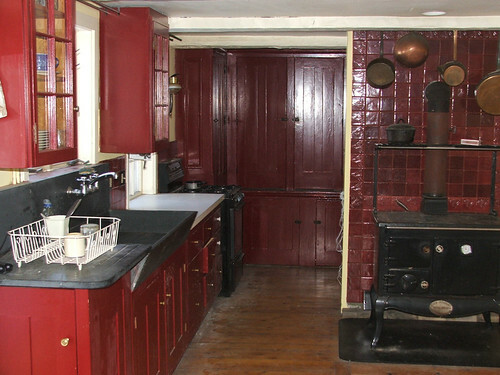 It also has a wood cookstove. Kathy grew up with one, I’ve always wanted one and now it is the cornerstone of our desire to make this farm as sustainable as possible. But for now, that is off in the future. Right now we are concentraing on cleaning up and getting moved. We are hauling some livestock–3 rabbits, 16 chickens, a calf & a ewe across the country with us, as well as our 2 English Shepherds, 2 cats and all 7 of us. Reverse Pioneering I’m calling it. I’m hoping to be able to do some updates here from the road. But if I drop out of communication for a while, you’ll know where to find me, in a week or so, once I re-surface–warming my feet by that stove made of stainless steel trims. Aprés Vin– Producers of pure varietal grape-seed oils, flours & soaps have kindly donated 20 bars of their Lavender Merlot and Lemongrass Chardonnay soaps to help sooth tired cooks hands. These soaps are among their new line of soaps. So new, they haven’t even had a chance to post them on their website yet! Rancho Gordo Heirloom Beans– Purveyors of heirloom beans, dried corn, dried chilies, grains, rice and herbs & spices. Steve Sando has kindly donated 5 lbs of runner cannellini beans for our Cassoulet. Ring in the end of one decade and the beginning of another on Podchef Island! Come to see, touch and taste Gascony right here in Puget Sound as “The Queen of Gascony”, Kate Hill, brings her Camp Confit to America. Join us for a festive start to the New Year with a three-day weekend of good food and fat ducks at my Shaw Island farm. Three days/two nights of good food, conviviality, duck butchery and confit-making. Come and learn the little secrets of French farm-wives and time-honored traditional recipes for preparing and preserving confit de canard, terrine de foie naturale and le Grand Cassoulet. Arrive on Shaw Island by Ferry, where we will meet you and bring you to the guest house of the Nun’s at Our Lady of the Rock Priory where you will be staying while your here. The join Kate and I at my Kitchen Garden Headquarters for a traditional French, super-authentique, Camp Cassoulet class & feast. We will be pairing red wine and armagnac with cassoulet–what a perfect way to start a new decade! Morning: Duck Butchery- I will lead a how-to workshop on Duck Butchery. A primer for the professional or home chef, come to the farm to learn humane slaughter methods, plucking, eviscerating & processing. 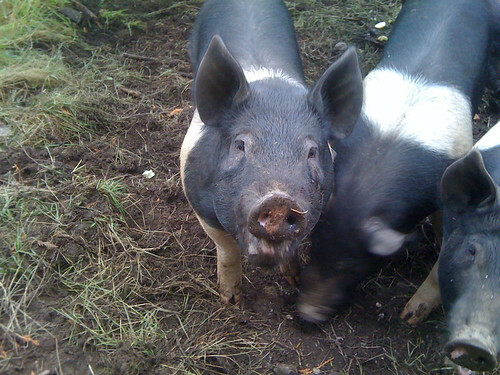 This course is for beginners, chefs & cooks who want to know where their food from the farm up. Lunch: Kate and I will prepare a winter pique-nique of found and foraged foods to share the diversity of my Island farm and Kitchen Garden Headquarters. Dinner: We will learn from Kate how the French dine as we grill the duck carcasses and eat with our fingers- a Gascon version of BBQ ribs called a carcassade! Podchef Island Lunch Feast of rillettes, pates, terrines and sausage. Afternoon: departure for the mainland with a basket of Ducky Delights in hand. If you cannot attend the whole 3 days, consider just coming for the special New Year’s Day Camp Cassoulet feast & dinner–only $125 (accomodation extra). For more information and reservations write us here!